A Bill Of Materials is a collection of information about all Hardware Components Tagged by Balloons in Drawing. This article is in continuation with Previous Article How to Insert Balloons in DraftSight ? We will Create BOM Table for these Hardware Components. As we have already placed Balloons inside DraftSight Drawing, BOM Table will take information from all Linked Hardware Components by Balloons. 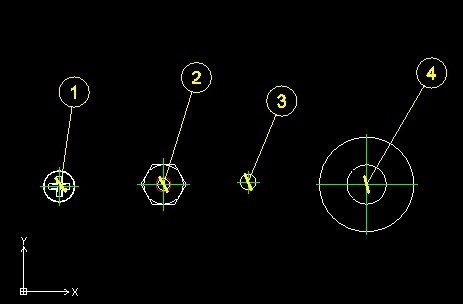 Specify top-left insertion point» Click inside GA. Note: From Balloon Data about Assembly will not be shown in BOM Table. Specify option» You can Specify command Option from Command window or Right Click and Choose Command option. 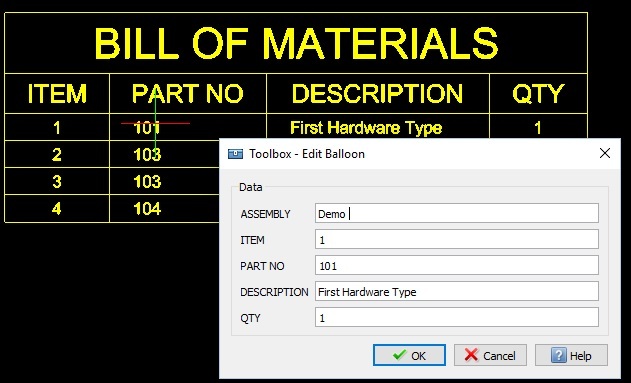 Specify table reference of bill of materials» Click on BOM Table row to Pop up Edit Balloon db. You can Edit Data and as soon as you click Ok on this dialog box changed Data will be reflected in BOM Table. 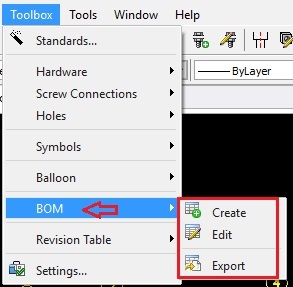 If you Delete or Add Balloon then you need to choose this command option to Recreate BOM Table. 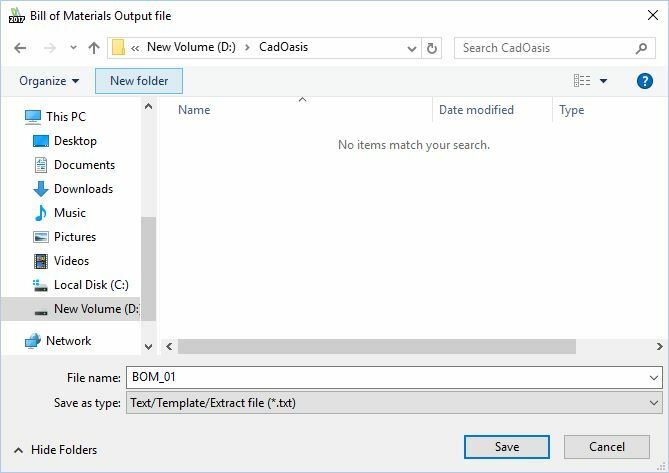 Delete bom table : Deletes Selected BOM Table. You can Export BOM into text file with TB_EXPORTBOM command . But Wait !! Now after DraftSight 2017 SP0 Release you can Export BOM Table into Excel Sheet !!! How ? Check this article Export Table Data into Excel – DraftSight . YES A 5TH COLUMN WOULD BE NICE FOR MATERIAL. I have Draft sight professional with Toolbox. I want to add columns into the BOM, how can I do it, both visible and invisible columns. I don’t think it is possible. But you can request this on DraftSight Community https://www.3ds.com/products-services/draftsight-cad-software/community/ !